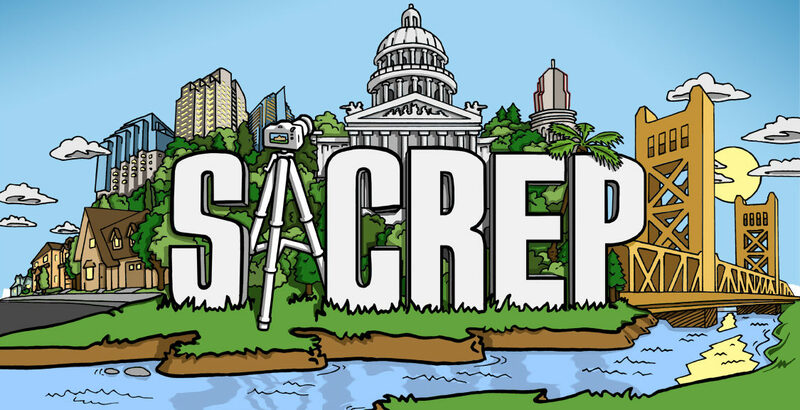 We have an ever-growing collection of photos and video showcasing the beautiful parks, schools and attractions of Sacramento and it’s suburbs. Feel free to share our photos and videos to enhance the marketing of your listings. In the heart of Sacramento County thrives what is surely one of the strongest economic engines in the region: the Arden Arcade District. Nearly 1,700 businesses, large and small, generate an important part of Sacramento County’s commerce and economy. Arden-Arcade has some of the more affluent neighborhoods in the Sacramento area. There are neighborhoods along the American River and the American River Parkway with million-dollar house prices. However, there are also significant amounts of housing that are priced more affordably. Neighborhoods with upscale houses include Wilhaggin, Sierra Oaks, Sierra Oaks Vista, Arden Park, Arden Oaks, and some of the areas surrounding the Del Paso Country Club. With a central location to many of the northeastern suburbs of Sacramento plus being very proximate to many areas of the City of Sacramento, Arden-Arcade is a major shopping area for the greater Sacramento area. Campus Commons-Nepenthe is a Planned Unit Development (PUD) of 1,160 Single-family attached & detached homes located at Fair Oaks & Howe in the HEART of Sacramento… just minutes from Mid-town! Residents enjoy all the amenities of this Master-planned community including beautiful HOA Clubhouse facilities, Pools, Spas & Tennis. Campus Commons is known for its scenic landscaped corridors, miles of paved foot paths, and proxmity to the Am.River Parkway Bike Trail, Guy West Bridge, Sacramento State University (CSUS). Called Carmichael Colony No. I, the 2,000 acres was once part of the 20,000 acre Rancho San Juan Mexican grant made to Joel P. Dedmond in 1844. The colony’s boundaries were Lincoln Avenue to the north, San Juan Avenue to the east, The American River and Deterting Ranch (now Ancil Hoffman Park) to the south and Fair Oaks Boulevard to the west. Carmichael later bought another 1,000 acres that he called Carmichael Colony No. 2. It bordered the first colony to the east and Walnut Avenue to the west; the southern boundary was Arden Way with Sutter Avenue to the north. This new territory was previously part of the 44,000 acre Del Paso Rancho Mexican grant made to Eliab Grimes, in 1844. Before Carmichael acquired it, James Ben, Ali Haggin, and his Daniel Carmichael associates bred and raised racehorses, including Kentucky Derby winner Salvatore, on a farm located where Del Dayo Estates now stands. The City of Citrus Heights incorporated on January 1, 1997. Although it may seem as if the City of Citrus Heights is relatively young, the Citrus Heights area has a deep-rooted history dating back to the late 1800s and the Gold Rush days. Citrus Heights, with a population of 84,345, is a unique established community in Sacramento County. Conveniently located between downtown Sacramento and Roseville, Citrus Heights is an easy commute to nearly all major employment zones in greater Sacramento, including Rancho Cordova, Folsom, Natomas, and South Placer County. The city has established itself as an important suburb in the Sacramento region with its solid base of small businesses, retail chains, and food service establishments. With an ongoing commitment to providing high-quality, economical, responsive services to the local community, the city is well-positioned for future commercial redevelopment, neighborhood enhancements, and positive changes. The Citrus Heights community is family friendly with great schools, beautiful parks, a wide offering of youth programs and many community events, in addition to lots of nearby shops and restaurants. Citrus Heights is definitely a great place to live, work and play! CLOS DU LAC is a gated community of 88 homes surrounded by vineyards, olive groves and interconnected lakes located in Loomis, California. Home sites range from 1/2 acre to 23 acres nestled in a small wooded valley near Folsom Lake. CLOS DU LAC is a French idiom meaning “Walled Vineyard by the Lake” and represents the underlying theme of this gated village. CLOS DU LAC was developed by Hardie Setzer in 1994 and designed by the internationally recognized Henrick Bull, FAIA of BSA Architects in San Francisco. It was designed to create a sense of community similar in feeling to rural settlements located in Provence, France. The main street is in the shape of a trefoil from which the logo on the wine label was adopted and designed by David Lance Goines. The climate and topography in CLOS DU LAC is quite similar to many of the wine-growing regions along the Mediterranean and South Rhone Valley of France. Therefore, the design “theme” or “style” of this community is modeled after Mediterranean farmhouses or country villas but reinterpreted into a contemporary home which represents a present-day California foothill region lifestyle. Over twenty acres of vineyards are grown and harvested by the community and sold to a variety of Napa and Foothill based wineries that produce premium wines from the traditional head-pruned vines. The vineyards include varietals typical of Southern France including Cabernet Franc, Petit Verdot, Petite Syrah and Mouvedre. From its earliest days, Sacramento earned a reputation as the Indomitable City. That bold spirit lives on in the visionaries invested in transforming the urban core. In the last decade, over $1 billion in private and public investments were made Downtown and that is just the beginning. Downtown Sacramento is not just a destination, but an experience. This is a place where incredible people achieve incredible feats. Where their aspirations soar above all others. This is a place where Dreamers are Welcome. Join us, a group of dreamers, who once had an idea of opening up a small business, and are making those dreams a reality in Downtown Sacramento. We are building a community. A community that is making it happen together, a community that shares successes and creates unmatched experiences. Originally developed during the 1920s –1940s, East Sacramento has managed to maintain a “small town” atmosphere with an old-fashioned, neighborhood feel. Stately mansions mingle comfortably with more modest brick homes on streets shaded by generous canopies of sycamore and elm trees. Charming bungalows and quaint cottages are often within walking distance of some of the city’s finest cafes and shops. This rich architectural style, coupled with many small neighborhood business districts, makes East Sacramento one of Sacramento’s most coveted neighborhoods. Two U.S. presidents are most associated with East Sacramento; William McKinley, namesake of our popular McKinley Park, and Ronald Reagan, who lived in the neighborhood during his eight years as governor of California. The community of El Dorado Hills enjoys the kind of location that Californians dream about; close to skiing, the ocean, wineries, and state parks. Located 40 minutes from downtown Sacramento and 90 minutes from Lake Tahoe, El Dorado Hills boasts acres of lush rolling hills with breathtaking views of the Sierra Nevada Mountains and the Sacramento Valley. Local families enjoy the highly ranked schools, fabulous sports programs, close proximity to Folsom Lake, and numerous community activities, ranging from the art and wine fairs to free, evening outdoor music performances. There is so much more to experience in beautiful El Dorado Hills! Elk Grove lies 15 miles south of the California State Capitol, 92 miles northeast of San Francisco, and 15 miles north of Galt. Two of California’s major highways, Interstate 5 and Highway 99 pass through Elk Grove. Our neighbors include Sacramento County’s Vineyard area, the rural communities of Wilton, Sloughhouse, Franklin, and Rancho Murieta, and close to mountains, and San Francisco Bay Area. A place where business and quality of life meet, City of Elk Grove. Fair Oaks was part of the original 1844 Mexican Land Grant, Rancho San Juan. This land grant also encompassed much of the adjacent communities, giving this larger area a common heritage. The area we know as Fair Oaks was first developed in 1895 as a Sunset Colony of the Howard and Wilson Publishing Company of Chicago. The early colonists, many with academic educations or agricultural experience, applied their skills, energies and capital to the development of the new town while enjoying this beautiful new territory. The City of Folsom has a rich history beginning with the ’49ers during California’s great Gold Rush. It was the site of the West’s first railroad and the world’s first long-distance transmission of electricity. Today Folsom is a forward-looking city, a high-tech town, with firms ranging from small to large international corporations. Folsom also boasts excellent schools, beautiful family-oriented neighborhoods and outstanding shopping, dining and cultural options. Granite Bay, CA : A Great Place to Live, Work & Play The unincorporated Placer County community of Granite Bay had a population of about 20,000 residents at the 2000 census and covers an area of approximately 25 square miles. It is situated on the north shore of Folsom Lake about 25 miles northeast of Sacramento on the eastern edge of the Sacramento Valley at the base of the Sierra foothills. The community boasts of a very high quality of life due to its great location, sound community plan, first rate schools, numerous churches, a low crime rate and excellent recreation opportunities. The community is home to some of the Sacramento areas finest and most exclusive homes. Our region is bordered by the Sierra Nevada Mountains to the east and the San Francisco Bay to the west. The climate is mild and pleasant. There are numerous recreational, cultural and civic activities year round within driving distance. Only 90 minutes from Lake Tahoe for wintertime skiing and 90 minutes from both the San Francisco bay area and the Napa Valley wine country, Sacramento is an ideal location for year-round activities. The Golden 1 Center, home court to the Sacramento Kings, is located just minutes from Natomas. Sacramento International Airport is within the bounds of the Natomas area. Numerous higher education institutions are in the area, including California State University, Sacramento, a University of Phoenix campus in Natomas and the University of California, Davis, is located 15 miles west of the Capitol. The UC Davis Medical Center, a world-renowned research hospital, is located in the city of Sacramento. In 2003, through the tremendous efforts and muscle of citizen leaders, the City of Rancho Cordova was propelled into motion. We’ve accomplished a lot since Cityhood, and we’ve created a strong foundation for the future. We’re well on our way to becoming a state-of-the-art city that is a model for other cities to follow. Located in South Placer County at the intersection of Interstate 80 and State Highway 65, Rocklin is characterized by rolling hill terrain with 360-degree panoramic views of the Sierra Nevada mountains to the northeast and to the Sutter-Butte mountain range in the West. Rocklin is a preferred location to live, work, visit, and grow business because of its convenient location, high quality of life, excellent schools, abundant recreational opportunities, and the highest commitment to public safety. Rosemont is a friendly Sacramento County neighborhood located between the City of Sacramento and the City of Rancho Cordova. We are bounded by Folsom Blvd. in the north, South Watt Ave to the west, Jackson Road to the south and Bradshaw Road to the east. Sun City Roseville is a Del Webb community that includes 3,110 homes with a long list of amenities designed and staffed to connect you with the lifestyle you deserve and want to pursue. Whether you are interested in golf, tennis, fitness, swimming, walking, biking, following your interests in hobbies, fine arts, travel, volunteering, or meeting new friends, Sun City Roseville allows you to live the lifestyle that’s right for you. Roseville is a progressive city with its eye on the future, but all the while retains and celebrates its rich historical railroad roots. Located in Placer County along the eastern edge of the Sacramento Valley at the base of the Sierra Nevada foothills, Roseville is a mere 16 miles from Sacramento, the state capital. Typical of other California cities, Roseville’s climate ranges from hot, dry summers to mild winters. What started as a town developed by disappointed miners from the famed Gold Rush has blossomed into a thoroughly developed, independent city boasting an estimated population of 128,382 residents (as of January 1, 2015). Roseville incorporated on April 10, 1909 and is a charter city operating under a City Manager-Council form of government. The strength and balance of Roseville’s diverse economy allows the city to thrive. Business ventures in Roseville range from technology, healthcare, agriculture and financial services. Top business employers within the city include Hewlett-Packard, Telefunken Semiconductors USA, Kaiser Permanente and the Union Pacific Railroad. However, its economic gem of retail draws in the crowds, with the expansive Westfield Galleria leading the way.